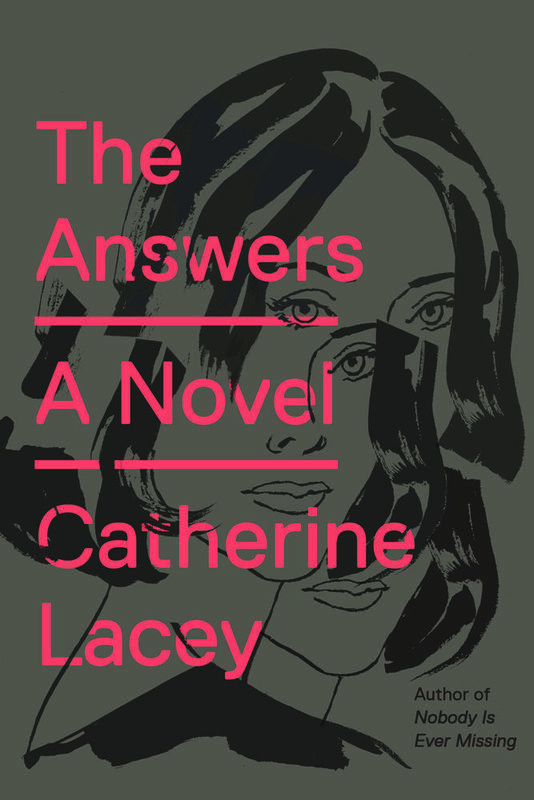 Catherine Lacey’s The Answers attempts a Tower of Babel on the subject of love—a recipe for success, yes? Love’s mechanics are fascinating, in part because its inner workings are partially unknowable, the je ne sais quoi elements that can’t be worked out in mathematical equations. It’s those secret, all-encompassing ingredients that help everything just make sense…for a while, anyway. Characters in The Answers seek to overcome this magical feeling’s inevitable expiration date, to preempt the honeymoon phase’s inevitable twilight; fine tuning this subject’s science is their attempt to play god. Though they make a great many fascinating observations, their pursuits inevitably fly too close to the sun in a field that perpetually resists straightforward verdicts. Whether or not a definitive set of answers are obtained, their endeavors do pose a myriad of fascinating questions. Readers are poised to draw their own conclusions, as affected by the supremely complex sum of each reader’s own experiences in love and lust. On a surface plot level, The Answers starts as some combination of 50 Shades of Grey with Franzen’s Purity. (Stay with me, here.) Mary Parsons is a 20-something with a bachelor’s degree, no marketable skills, and a daunting mountain of student loan debt. She’s further saddled with the costs of an experimental pseudoscientific treatment that has, improbably, begun to alleviate her unfortunate array of inexplicable chronic symptoms, which no certified white-jacketed physician has yet been able to manage. To fund these treatments, she comes across a paid position in a research experiment on the subject of limerence (the state of being in love). Many rounds of interviews feature oblique, open-ended questions, giving the sketchy impression she’s being ensnared into a cult. Backed into a financial corner, Mary grits her teeth and risks emotional discomfort for the sake of her healthcare budget. The experiment centers around celebrity actor Kurt Sky. Famous and subject to fawning adoration, he has a difficult time finding sustainable, meaningful love. The experiment’s research division posits that it’s foolish for a single companion to serve the many different needs for which a relationship exists: the emotional, intellectual, maternal, aggressive, and even the mundane. Therefore, each participant in the study spends regularly scheduled time alone with Kurt, each following strict behavior protocol designed to only serve one relationship function: the Intellectual Girlfriend facilitates mentally stimulating conversation, the Maternal Girlfriend cleans the house and prepares food, the Intimacy Girlfriends serve sexual needs, and even a Mundanity Girlfriend who sits around the house, reads magazines, and sighs. Mary, enlisted as the Emotional Girlfriend, listens to Kurt’s various stories and feelings, maintains eye contact, and always affirms his views—effectively, a geisha. 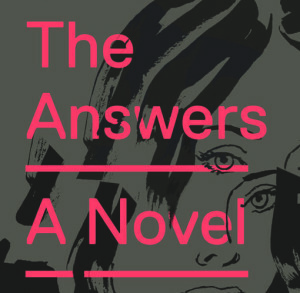 The Answers solicits full participation from its readers, requiring them to provide many of the conclusions referenced in its title. The tale is packed with investigations that are at times disturbing, hilarious and insightful. Should this book get selected for your book club, you’d be wise to set aside several hours for discussion. The plot threads that are left dangling by the story’s end aren’t cop-outs. They leave behind a satisfying ambiguity, deliciously ironic for a novel about researchers seeking clear mathematical answers in the realm of the typically unknowable. You’ll know that a twist is looming in novel’s final breaths, but as the final few pages approach you won’t feel an anxiety whereby your entire verdict of the book rests upon some shocking stunt. Catherine Lacey has evidently done it all and had it all done to her, and The Answers is the tapestry to report on her findings, dressing up brutal truths in the format of its surreal journey.